IF YOU’RE LOOKING FOR AN INCREDIBLE AMOUNT OF STORAGE AT AN INCREDIBLE PRICE , LOOK NO FURTHER !! 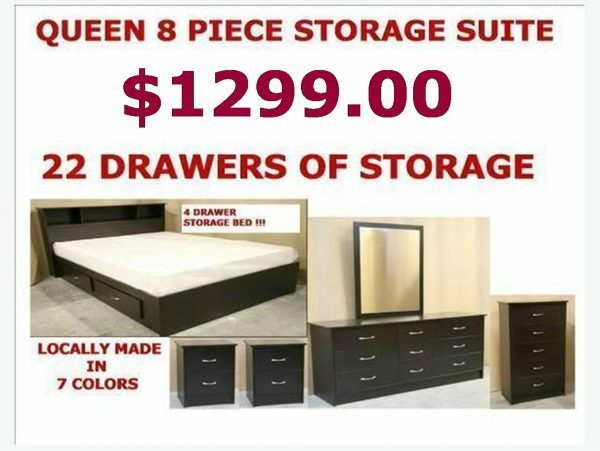 THIS AMAZING SUITE GIVES YOU 22 DRAWERS FOR STORAGE!! AVAILABLE IN ALL SIZES CALL FOR PRICING!